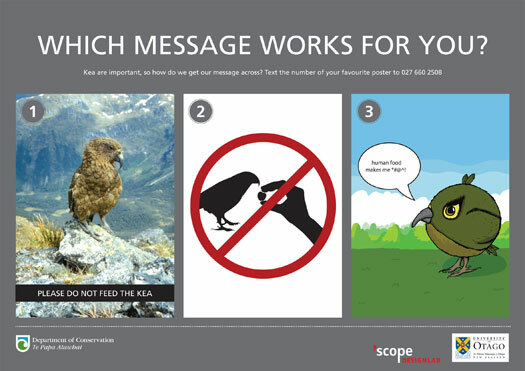 3 responses to Kea conundrums – one sign does not fit all! stopped overseas visitors form feeding keas. They had ignored the present signage. Graphic signs like the ones of kiiwis, showing dead keas I feel are far more effective. Feeding keas is a serious problem that needs to be addressed urgently. I want to see much more keas around in their natural habitat. It’s a very good point Pete, option three attempts to with humour but not clearly enough. Thanks! 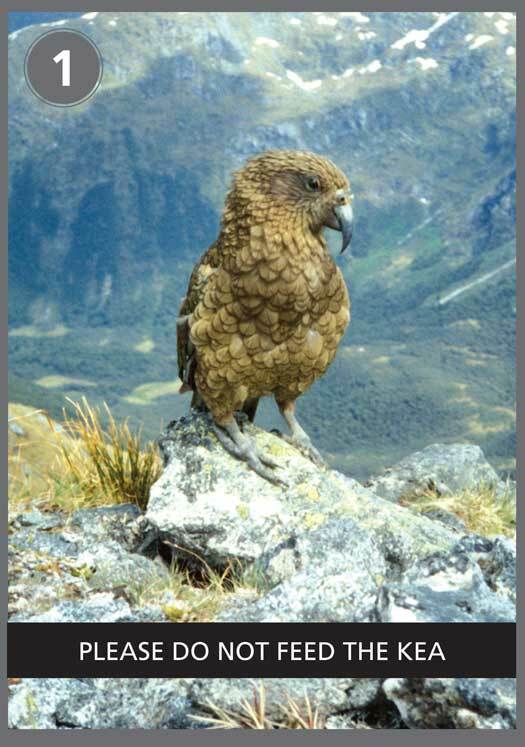 We asked children visiting Arthur’s Pass over Christmas to draw their own poster design and quite a few of them included the consequences – quite graphically in many cases – lots of pictures of dead kea! Kids can be so morbid! 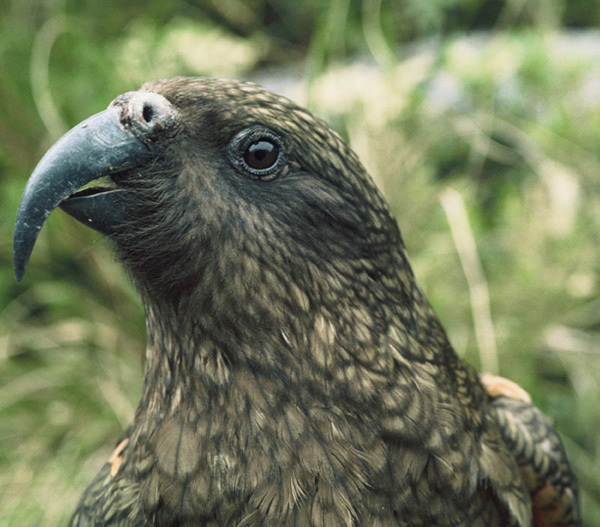 I think a lot of people think the reason is that feeding the kea endangers their fingers, and so they decide that it’s worth the risk. 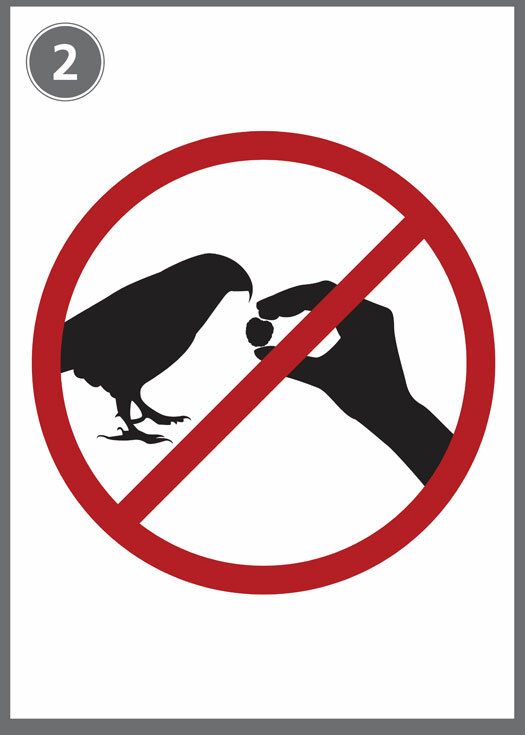 None of those signs explains the negative consequences (for kea) of feeding them.